The VA cash out refinance program is popular with Veterans who want to tap into their home’s equity and maybe even lower their interest rate, too. Qualified veterans can use cash proceeds from their refinance to make home upgrades, pay down high-interest credit cards, or take a vacation. Low interest rates and flexible payment terms make it a great time to invest in your home and use equity to pay off other expenses. Check today's VA cash out refinance rates and see if you qualify. 2. Pay off a non-VA loan. Most cash-out applicants want to get a large lump sum of cash for home improvements or any other purpose. But many others have a non-VA loan, such as conventional or FHA. 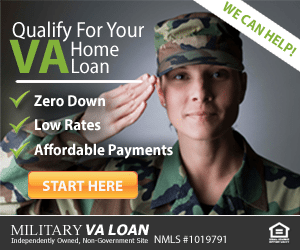 The new VA loan eliminates mortgage insurance. In some cases, you the lender will allow you to refinance up to 100% of the value of your home (100% LTV) with a VA cash out. Get a live rate quote for your VA cash out refinance here. 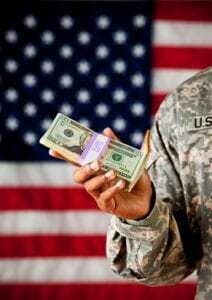 VA cash out loan applicants will submit a Certificate of Eligibility (COE) which the lender can obtain for you fairly quickly. Have a valid DD-214 ready in case the lender needs it. If you are uncertain if you qualify, call (866) 240-3742 to speak with a licensed lender who can answer your questions and help you apply. Get a live VA cash out rate quote here. The application process is easy. To get started call (866) 240-3742 to speak with a knowledgeable mortgage professional. Or, simply fill out a short form here. From there, your licensed VA loan expert will guide you through the process. Do I have enough income to meet my monthly mortgage payments, maintain my home, pay my monthly debts and other financial obligations, and still have enough left to pay for food and other living expenses? 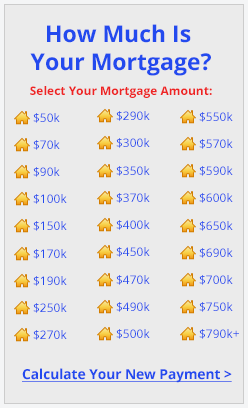 Does the refinance apply to the mortgage on the home I am currently living in? Do I have at least fair credit history? Click here to get a VA refinance rate quote. *Standard VA loan limit. Higher loan amounts available in some areas with a VA jumbo loan. Complete a short online form to get a live VA refinance rate quote. Perhaps the most notable difference between these two programs is that the VA cash out loan has a maximum loan-to-value of 100%, but there is no maximum VA streamline refinance LTV. This is because the VA streamline does not require an appraisal, so current value is not determined. An appraisal and value are required for a cash out refinance. The VA cash out program follows the same maximum lending limits as the VA loan to purchase a home. The standard limit is $484,350 but can go much higher in high-cost areas. For an in-depth look at VA loan limits, see our VA loan limits page. The amount of money that you can receive from your loan depends on your current home value and specific lender. Keep in mind that some lenders will only allow you to take up to 90% of your home’s current value. If you need 100%, shop around until you find the right lender that will extend the loan amount that you need. Check your VA cash-out eligibility by completing a short online form here. If you are interested in saving money with a VA home loan refinance but aren’t interested in the cash out option, visit our VA Streamline Refinance page for more information on the other types of loan refinances that are available.